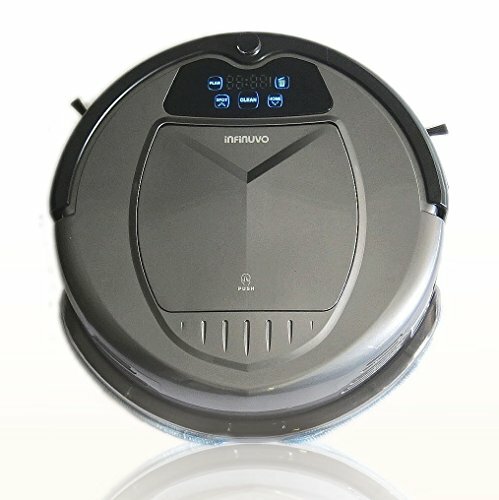 Hovo® 650 is an new addition to Infinuvo robot cleaner family. 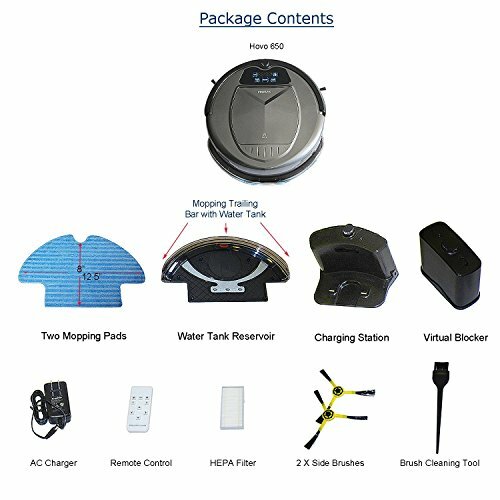 It not only has home base, scheduler, virtual blocker and remote control, but also has a large full-length mop accessory with water tank, so you can do both dry and wet mopping effectively. To do wet mopping, just fill water tank reservoir with water or cleaning solution such as Bona® Hardwood Floor Cleaner, etc. 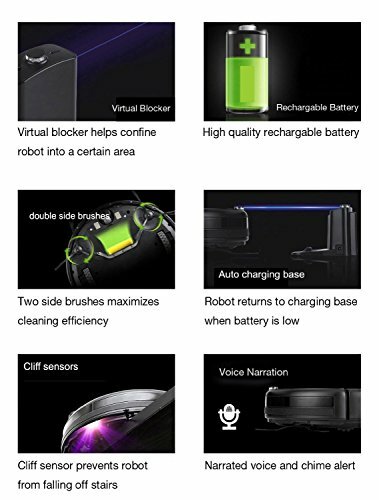 Hovo 650 eliminates the middle brush, so you do not need to spend time removing hairs and debris from roller brush. Hovo 650 has advanced dual-filtration design, which uses pre-filter and HEPA filter to catch fine dust and allergens, so the air in your home is fresher. 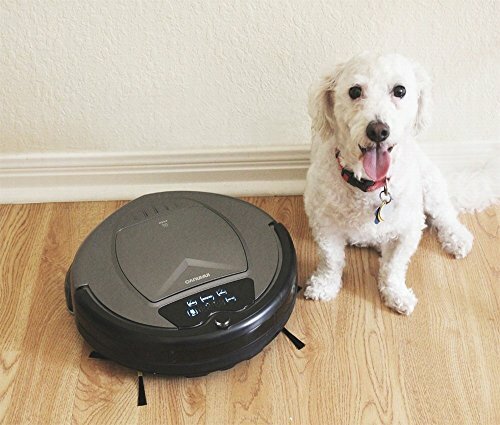 On-board UV light helps to kill bacteria, germs and allergens while vacuuming, so it is a great choice for pet owners and people with allergies. When battery is low, it returns to home base for recharging. Users can use scheduler to set up their own cleaning time. 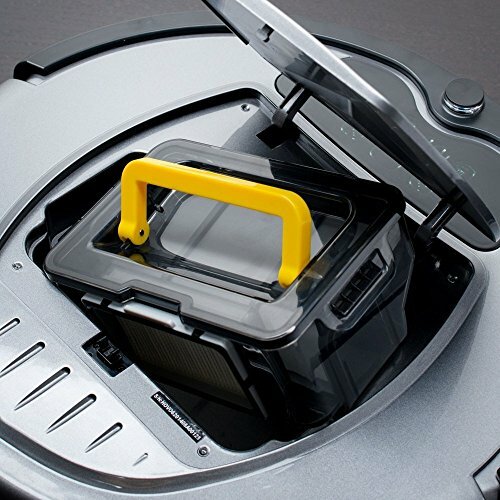 It can go under bed and other hard to reach place to clean dirt, dust and pet hairs. 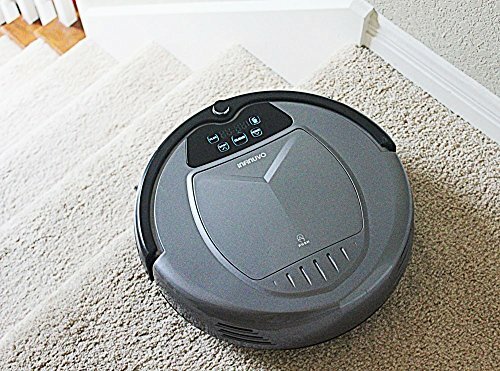 It has cliff sensors to detect stairs, so it will not fall down stairs. 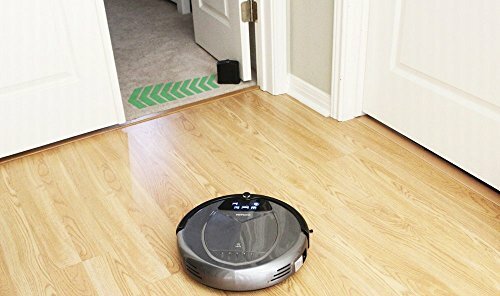 It works best on hardwood, linoleum and tile floors. It is not recommended for medium/long pile carpet. 1 year manufacturer warranty for US customers when purchased through authorized retailers. Strong vacuuming power; HEPA filter catches fine dust and allergens; UV light kills dustmite, germ and bacteria. 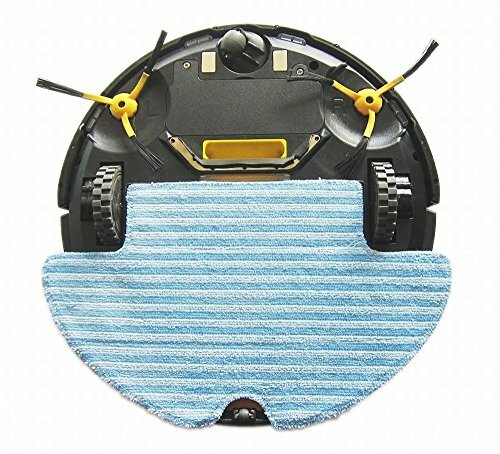 Comes with a large mop pad with water tank; Great for both dry and wet mopping. No roller brush, so it is easy to maintain after each use. 1 Year warranty for US customers when purchased from un-authorized retailers. WORRY-FREE GUARANTEE! We are US based company. In case you are not completely satisfied with the product, just return it within 30 days for a full refund.